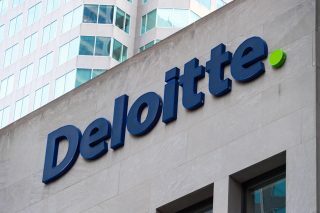 Global consulting firm Deloitte has revealed the top African nations considered to be most attractive for investments according to industrial captains in the continent. This is contained in the maiden edition of the Africa CEOs Survey, which was released at the recently held Africa CEO Forum in Kigali. In the report, themed Scale up the momentum, Deloitte shares insights and lessons learned from business decision-makers around six themes which include Strategy, Governance, Finance, Innovation, Impact and Talent. According to the Africa Investment Attractiveness Index in the study, the leading countries perceived as the most attractive to African CEOs are Ivory Coast, Rwanda, Kenya, Ethiopia, South Africa, Ghana, Morocco, Nigeria, Senegal and Tunisia. “In 2018, six out of the ten fastest growing global economies were in Africa according to the World Bank and several countries have articulated their growth priorities around regional integration, industrialization and jobs creation,” Managing Partner of Deloitte Afrique, Brice Chasles notes. A majority (75 percent) of the 120 business leaders surveyed expressed their confidence in the sustained economic dynamism of the continent. Three correlated findings according to Deloitte sustain this level of optimism. The first is that 81 percent consider that the decisions around the creation of an African single market (AfCFTA) will have a positive impact on business strategy. Also, 85 percent of respondents have a written and recently updated strategic plan, demonstrating that vision and ambition are clear, while 65 percent of CEOs confirm their willingness to invest more on the continent. However, the survey highlights three key challenges facing the implementation and delivery of strategic plans by organizations with tangible results. These are business climate, attracting and retaining human capital, and financial constraints. To mitigate these risks, agility and diversification are two key factors to bridge the gap between strategy and execution. African companies are aware of the disruptive effect of technological breakthroughs on business operations as technology appears as a central element of CEOs strategy for the coming year, the survey reveals. According to Partner & Head of Telecom, Media, Technology (TMT) Industry for Deloitte Afrique, Karim Koundi, innovation is at the very heart of the Fourth Industrial Revolution. The new economy is characterized by the merger of industrial production assets and digital technology and in this digital age, companies unwilling to adapt are rapidly losing relevance. Nevertheless, even though 60 percent of business leaders recognise the impact of this revolution, the continent suffers from a great disparity in the integration of these new technologies. For example, half of the companies surveyed have integrated mobile applications into their daily activities, but less than 10 percent of them are working on solutions related to Artificial Intelligence (AI), blockchain or robotics. Through digital transformation, which is a considerable lever for growth, African companies can leverage the unprecedented flow of information to increase efficiency and successfully transform internal processes or organizational model. “Businesses that are taking firm steps towards digital transformation can leapfrog infrastructure and/or logistics deficiencies while gaining rapid and direct access to new clients and wider markets,” Karim concluded.